MAKE YOUR APPOINTMENT TO SHOP. 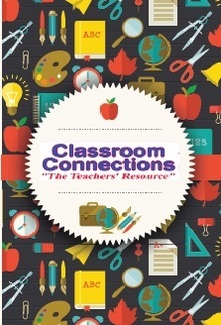 Classroom Connections offers school supplies to educators in the public school systems in the following counties: 1) Alexander, 2) Burke, 3) Caldwell, 4) Catawba, 5) Cleveland, 6) Iredell and 7) Lincoln County. When: 3 p.m. - 6:00 p.m. Tuesdays & Thursdays, as scheduled. Frequency of educator's visits: 1X per Quarter, 2X per semester, 4x per Year. Please, sign up to shop. Each Shopper must sign up for 1 slot only. 1) The educators whose names show as registered to shop. 2) The educators with school I.D.'s. Shopping must be completed by 6:00 p.m. On-site registration must occur before 5:45 p.m. The doors will close at 5:45 p.m. in consideration of our volunteers. Please, sign up at least one day in advance of shopping.